Reyes Roofing Contractors, LLC is a top, trusted roofing contractor in Vienna, VA with over 20 years of roofing repair and roof installation service experience. 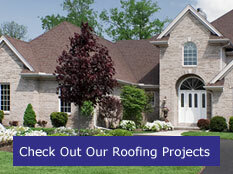 Reyes Roofing Contractors, LLC is a family-owned business in the Northern Virginia area that was established in 1991. We are proud of the top quality roofing projects we have completed over the years in Vienna, VA and the surrounding communities. We provide professional and dependable roofing repair and installation services that have earned us an "A+" rating with the Better Business Bureau. Our team members are CertainTeed Certified Master Shingle Applicators who are experts in the latest roofing products and technical knowledge. We help our customers make well informed decisions. As a homeowner, you may be looking to increase the value of your home with a residential new roof, or repair your roof from weather related damages. we install traditional shingles, architectural shingles, TPO system, EPDM system, standing seam metal, synthetic slate, cedar shake, synthetic shake, metal shingles, and specialty tile roofs such as slate and spanish tile. As a business owner, you may be looking to keep your property up to date and maintained with a commercial roof restoration or repair. We expertly install a wide variety of commercial roofing systems including vinyl slate, TPO, synthetic shake, built-up, modified bitumen, single-ply, standing seam metal, EPDM, and torch roofs. Whatever your residential or commercial roofing needs may be, Reyes Roofing Contractors, LLC can expertly handle all of your concerns. Not only do we handle roofing projects, but we also handle seamless gutters and siding replacement, window replacement, metal roofing and much more! A free, no-obligation roofing estimate is available for you. 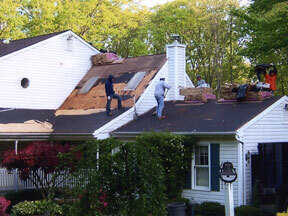 Do you have a roofing question in Vienna, VA? Contact us at Reyes Roofing Contractors, LLC.